Every so often I create a recipe, that is not only delicious, also it can be used in many different ways. 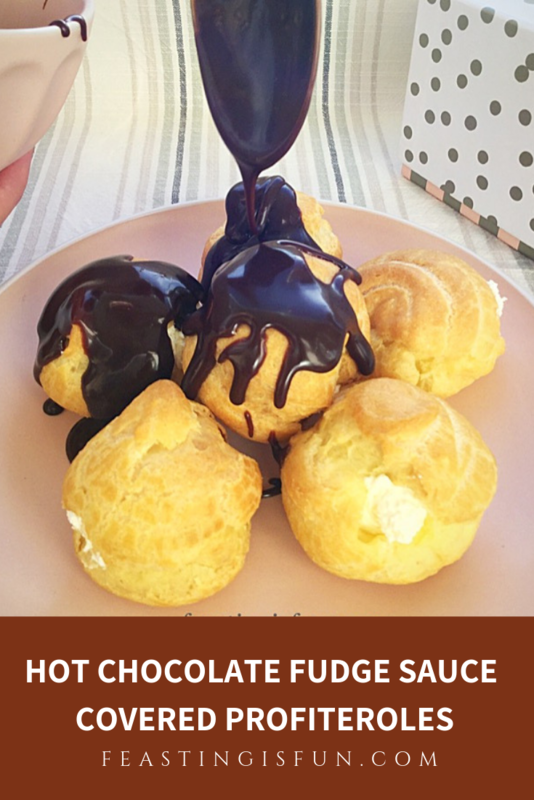 And these Hot Chocolate Fudge Sauce Covered Profiteroles are a great example. Light choux buns, filled with sweetened, whipped, chantilly cream and draped in dreamy, hot, chocolate fudge sauce. Which also has a hidden ingredient, the sauce raises the game of whatever dessert it adorns. 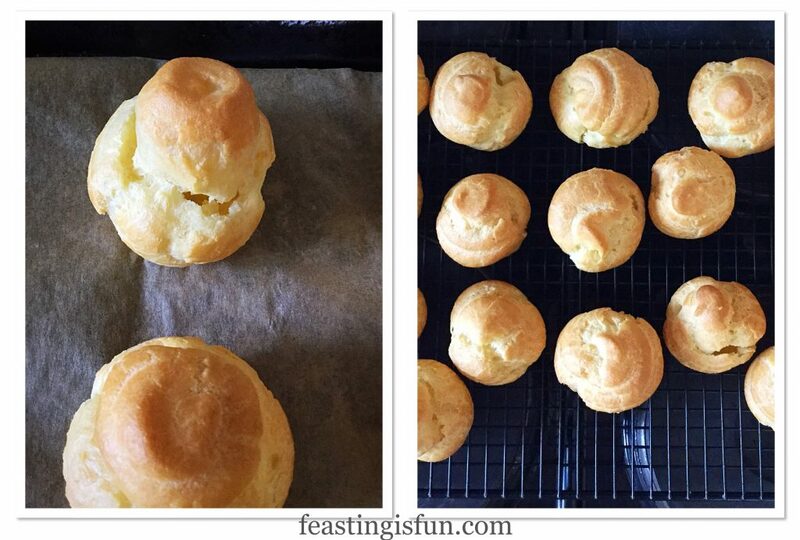 Choux pastry is incredibly easy to work with. 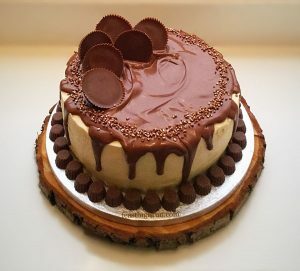 Fear not, I will walk you step by step through the making and baking process. First of all the dough is cooked in a saucepan and then, after the addition of beaten eggs Piped into small buns. Hot water, present in the recipe, creates steam during the baking process, causing each choux bun to puff up. Creating a hollow centre that is perfect for filling. Golden, puffed choux buns, ready for the hot chocolate fudge sauce. 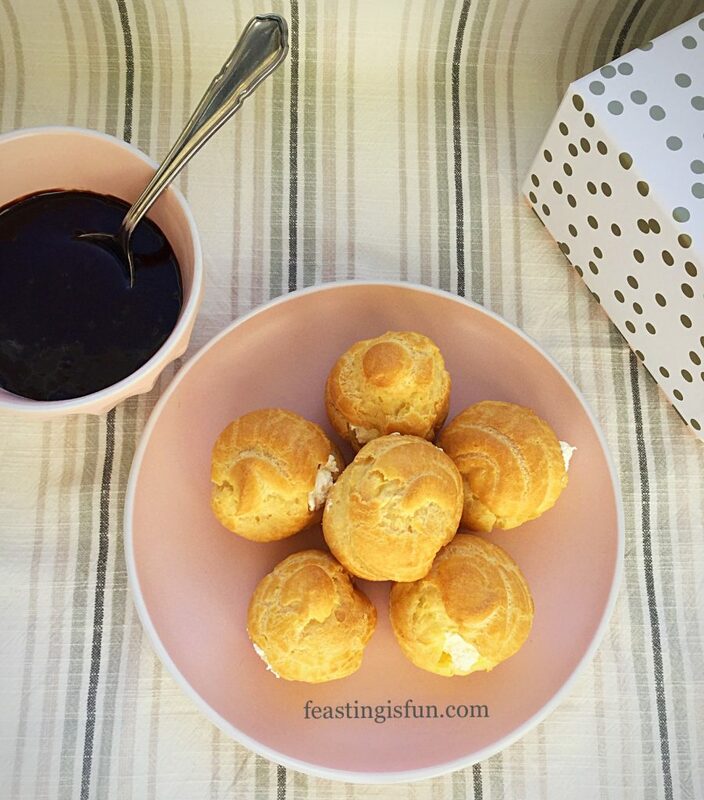 Although choux pastry on its own is rather bland it is a brilliant carrier of flavours. 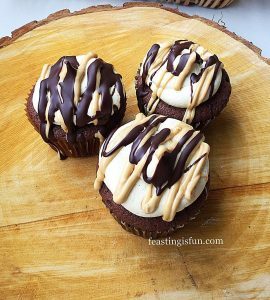 While each bun is filled first of all with sweetened, whipped cream, the draping and drizzling of hot chocolate fudge sauce gives each bun a perfect flavour hit. Resulting in a finger licking dessert that will keep you coming back for more. While the profiteroles can be made a few hours ahead, as can the sauce. assembly should take place as close as possible to serving. 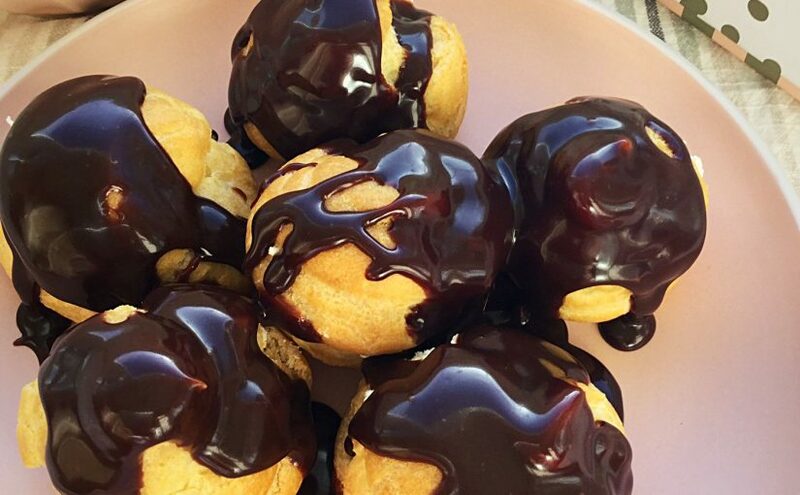 Doing so keeps the profiteroles light and crisp. Because if left for a while they can become soggy. Also the hot sauce should ideally be poured over as they are served. However, left over, sauce covered profiteroles taste incredible when sneaked from the fridge the day after making! A post party fridge raiding feast! Ideally served with a spoon and fork, there will always be occasions when cutlery is not needed. Like here, during my photo shoot. Method: Preheat oven to 200C/180C fan, 400F, gas mark 6, 400F. First of all line 2 large baking trays with parchment paper. Into a large, heavy bottomed pan add water, butter and salt. Place over a medium heat until the butter is completely melted into the hot water. Keeping the saucepan over a low heat, dump the flour straight into the hot, buttery water and immediately beat with a wooden spoon. Continue stirring until all lumps have disappeared. 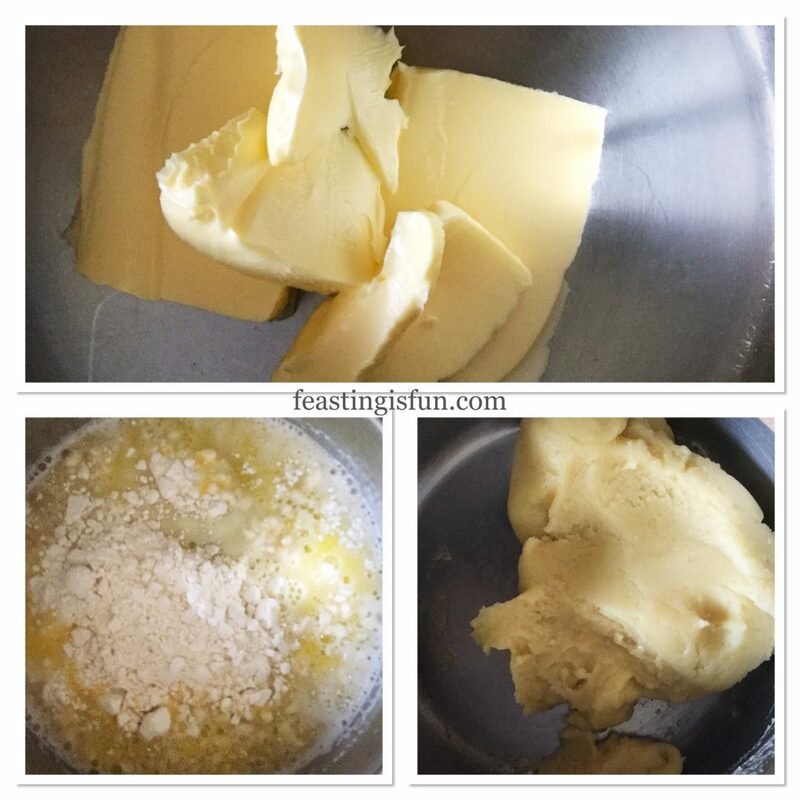 Creating the flour, water and butter choux pastry base. While the flour is being beaten it also cooks slightly. As soon as the dough is lump free remove from the heat and allow to cool slightly. While cooling, crack the eggs into a jug and weigh them. Make a note of the weight. If it is more than 5% or 233g, than the weight of eggs stated you may not need all of the eggs. Beat the eggs together and pour any excess egg into a separate container. As soon as the flour dough has cooled slightly pour in half of the beaten eggs and stir continuously with a wooden spoon. When the eggs begin to incorporate into the mix add the remaining eggs from the jug. Keep beating with the wooden spoon until you have a smooth, sticky paste. 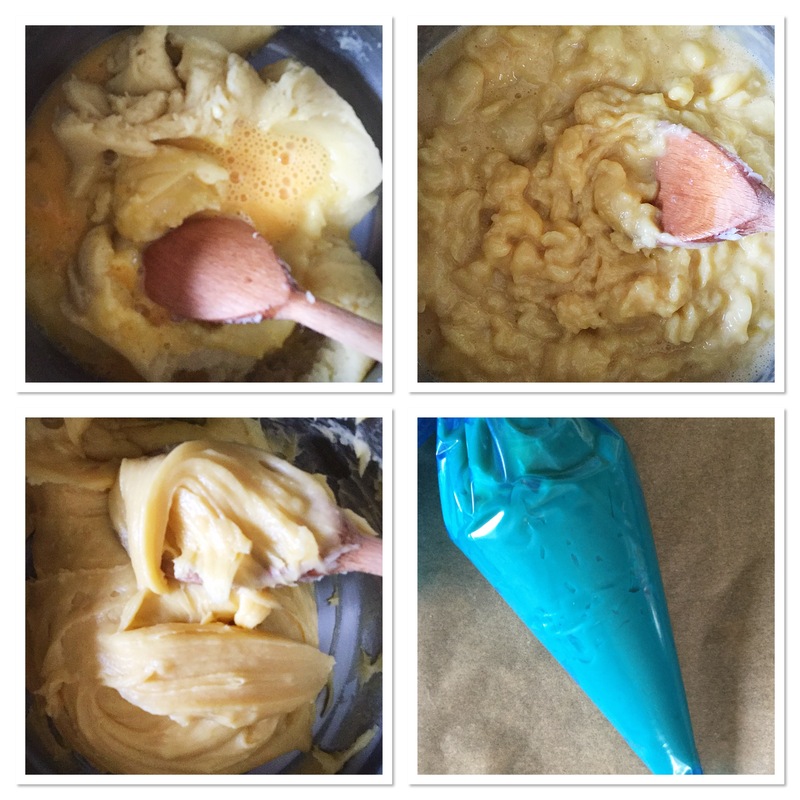 Spoon the choux pastry dough into a piping bag, fitted with a 1cm round nozzle. Eggs added to the choux pastry base, beaten in and spooned into a piping bag. Pipe 2.5cm/1 inch rounds on to the baking parchment. 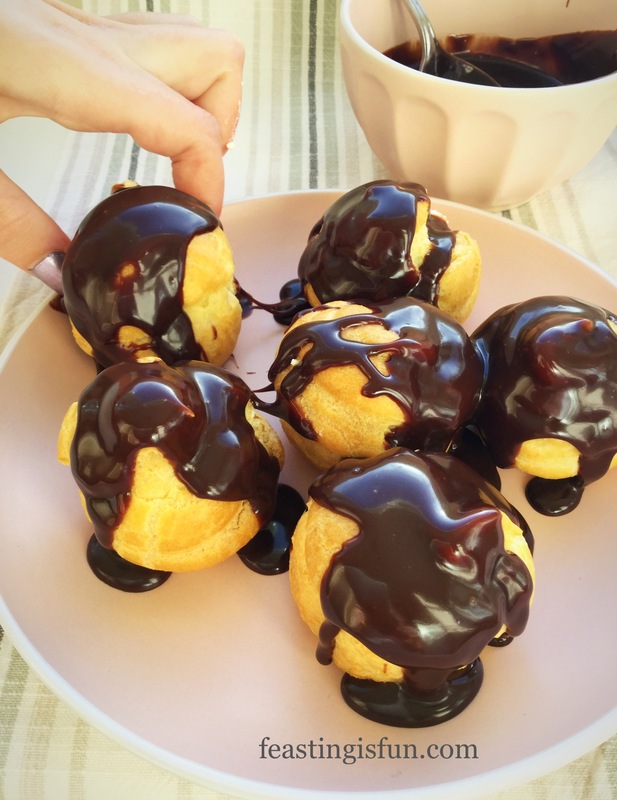 Using a clean, damp finger press down any peaked tops on the piped profiteroles. 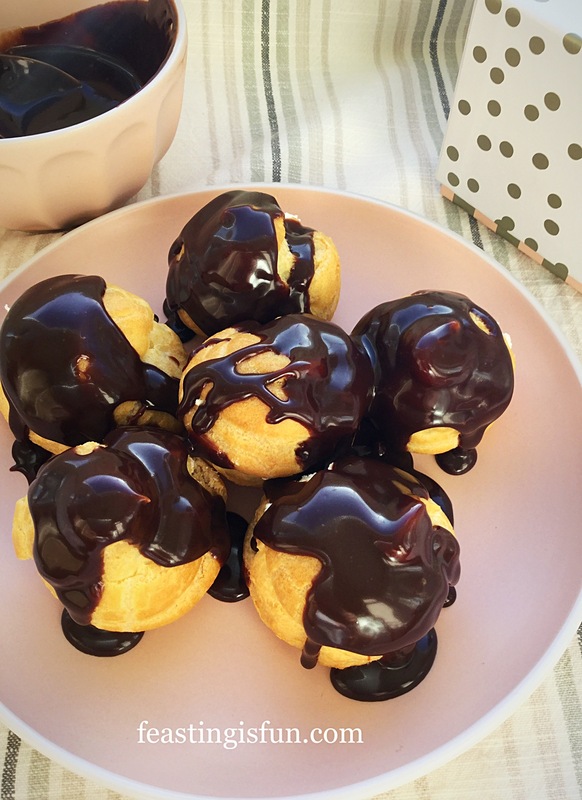 Allow space between each profiterole as they will expand while baking. 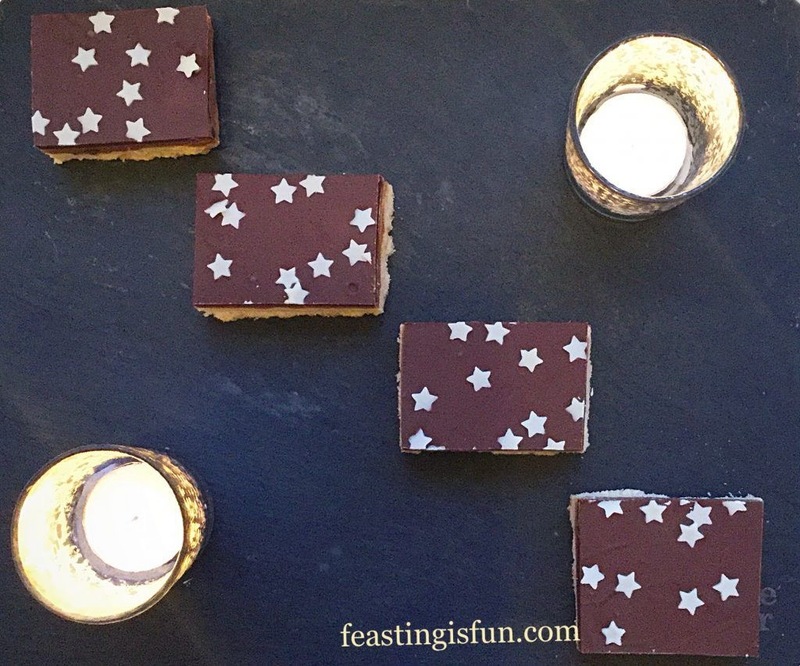 Place the baking trays into the preheated oven and bake for 20 minutes. Check after the initial baking time. Each profiterole should be golden, with a firm outer. Bake for a further 5-10 minutes if necessary. 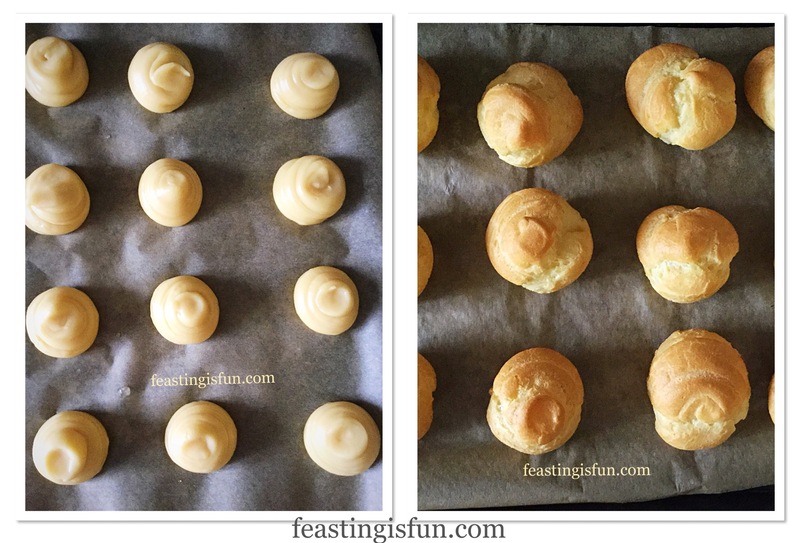 Piped profiteroles before and after baking. Once fully baked remove from the oven. Taking care, as they will be very hot, cut or snip a 1cm hole on the side of each profiterole. Doing so allows any steam to escape. Place the baking trays back into the oven and bake for a further 5 minutes. 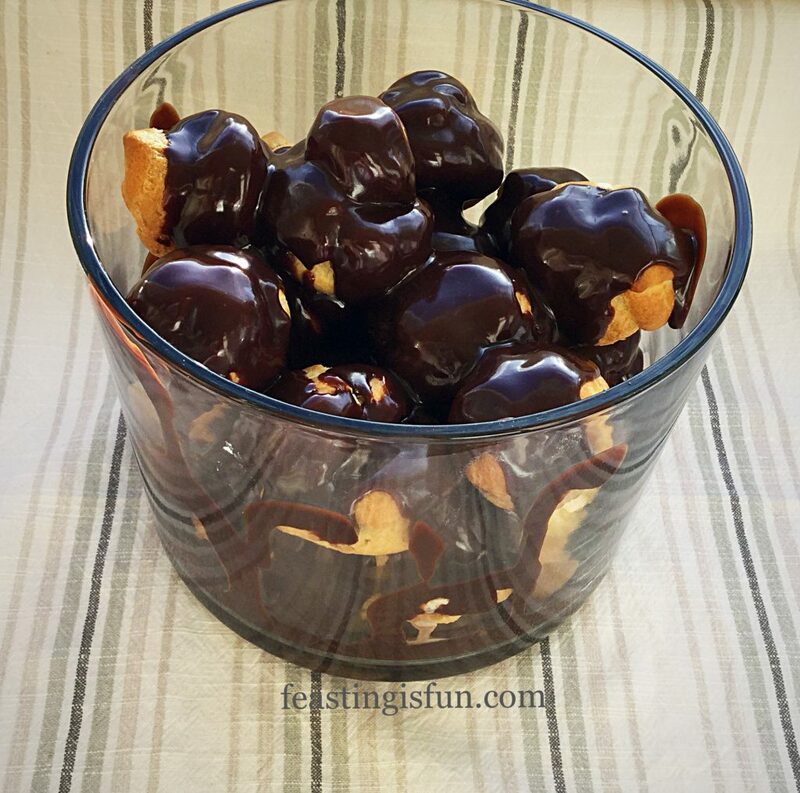 Remove the crisp, dried profiteroles from the oven and immediately place them on to a cooling rack. A small slit allows any steam to escape, then cooled on a baking rack. Allow the profiteroles to fully cool before filling. To make the sweetened whipped cream, pour the cream, vanilla bean paste and sugar into a large bowl. Whisk until the cream has thickened but not become dry and stiff. Fit a piping bag with a 1cm round nozzle and fill with the sweetened, whipped cream. Pushing through the slit made earlier, fill each profiterole with cream. 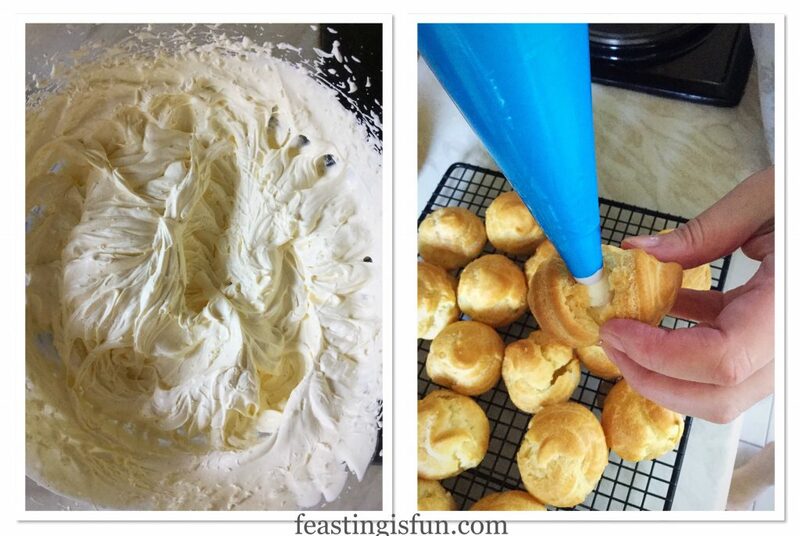 Whipping cream and filling each profiterole. Fill a small saucepan with 2.5cm/1 inch of water. Put a heatproof bowl on top of the saucepan, taking care to ensure the base of the bowl does not touch the water. Place over a medium heat. Place the cream and broken up milk and dark chocolate into the bowl. Do not add the Rolo’s at this stage. 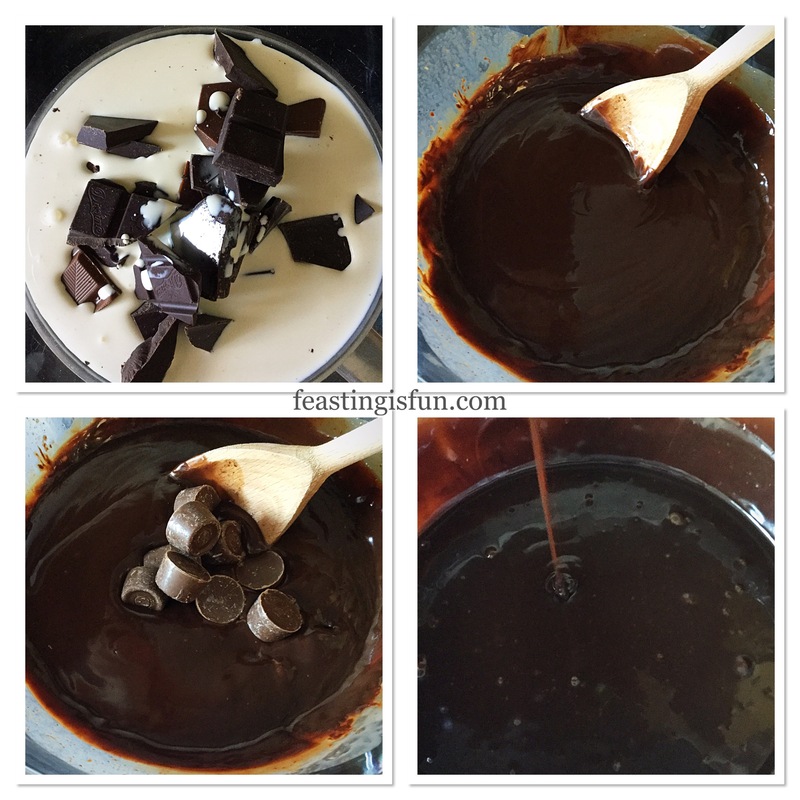 Stir constantly until the chocolate is completely melted and combined into the cream. Now add the Rolo’s and stir continuously until it becomes a slightly thicker, smooth sauce. Making the Hot Chocolate Fudge Sauce. To keep the sauce warm, for example to serve dessert after dinner, turn the heat down to very low, add extra water to the saucepan as needed. Keep the bowl on top of the saucepan and stir thoroughly when ready to serve. 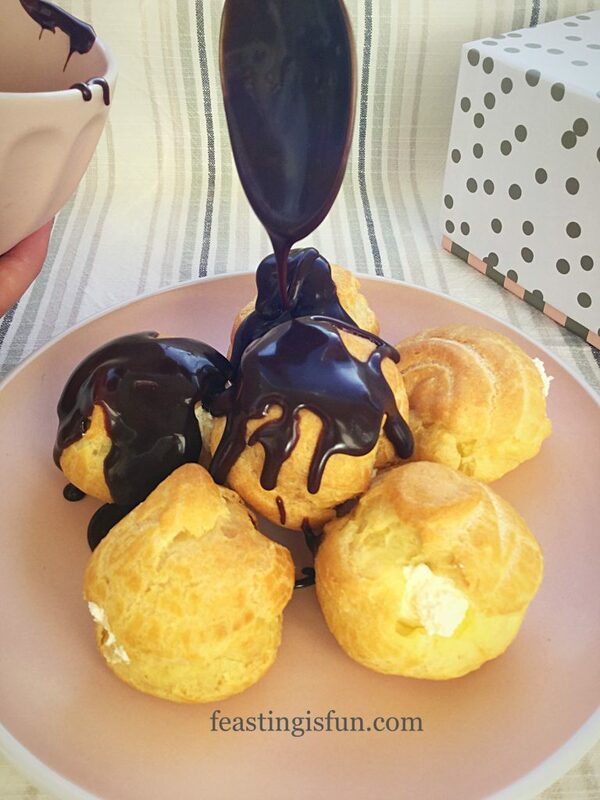 When ready to serve, either portion the profiteroles, as in the photos above and spoon a generous amount of sauce over them. 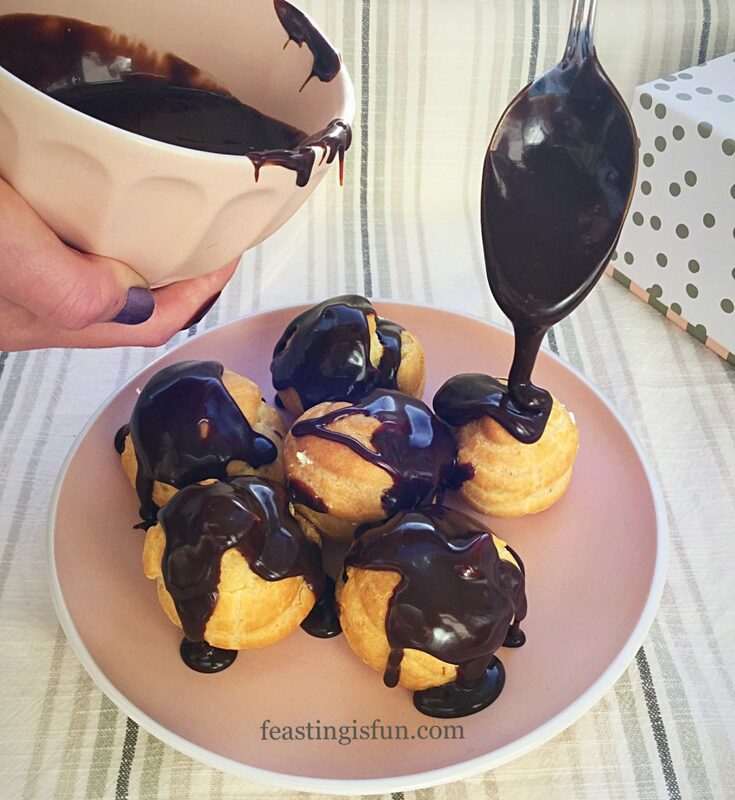 Hot Chocolate Fudge Sauce Covered Profiteroles served in a deep bowl. Alternatively, place each of the cream filled profiteroles into a deep bowl and pour over the Hot Chocolate Fudge Sauce. Ideal for buffets or serve yourself occasions. 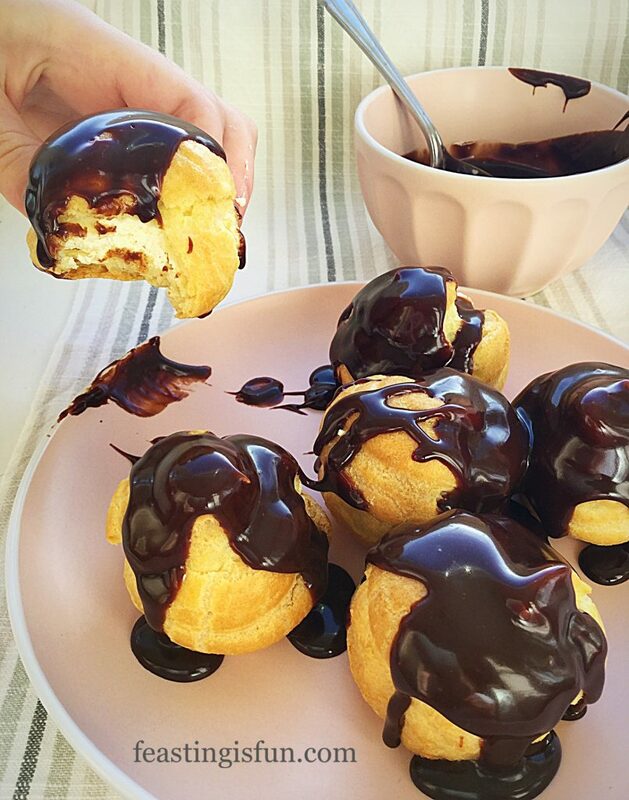 Hot Chocolate Fudge Sauce Covered Profiteroles are the ultimate sharing food. Eating as soon as possible after making should not be a problem. 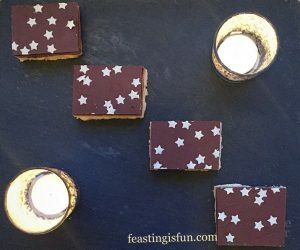 Hot Chocolate Fudge Sauce, is so versatile; pour over profiteroles, spoon it on to ice cream, use to cover as cake such as this Dreamy Chocolate Fudge Cake. One incredible tasting, easy to make Sauce that can be used in a variety of ways. Recipes such as this create the backbone of our cooking repertoire. 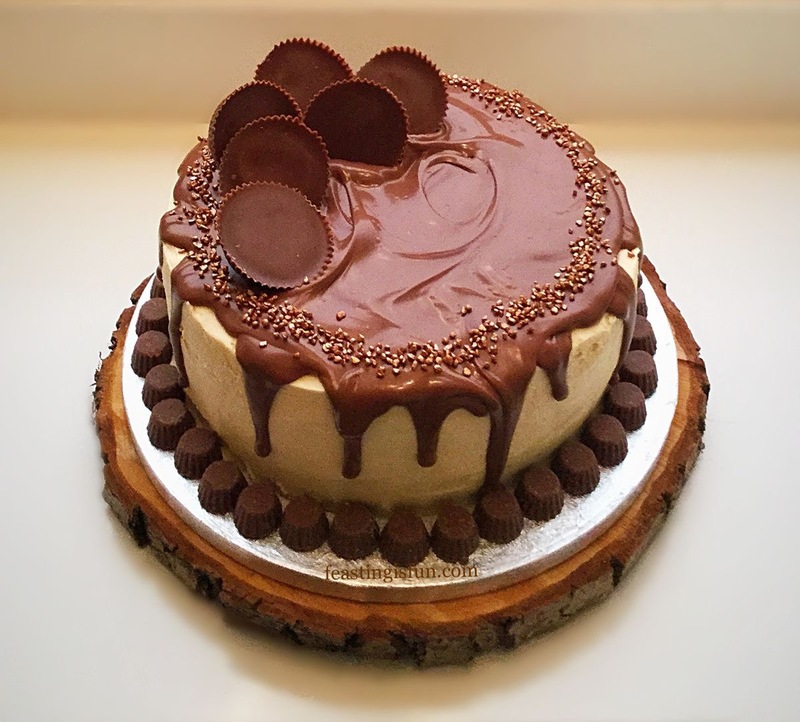 What would you create using this recipe? No part of this blog post may be reproduced or duplicated without the written permission of the owner. Please see my Disclosure Policy.